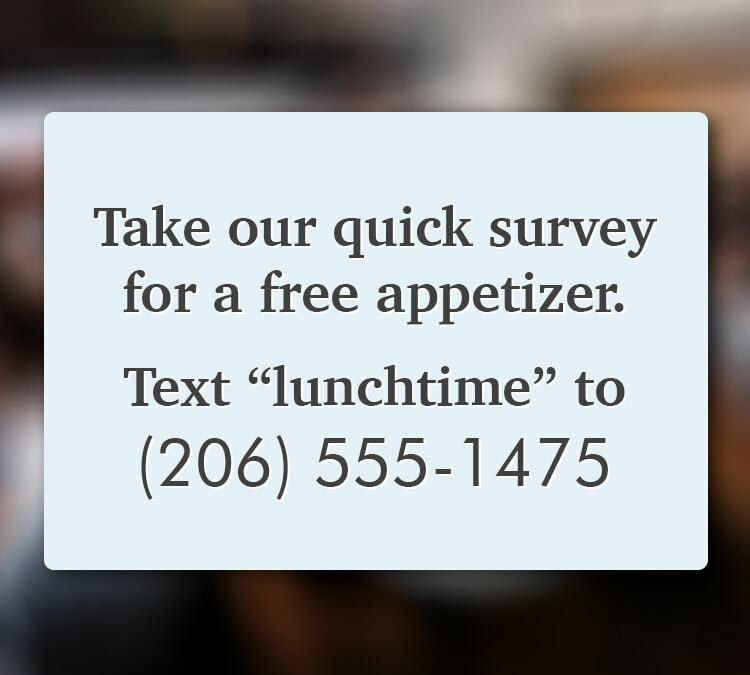 With our Text Message Polling, we help you get actionable answers from your audience via text message on mobile devices and collect on-the-go feedback. 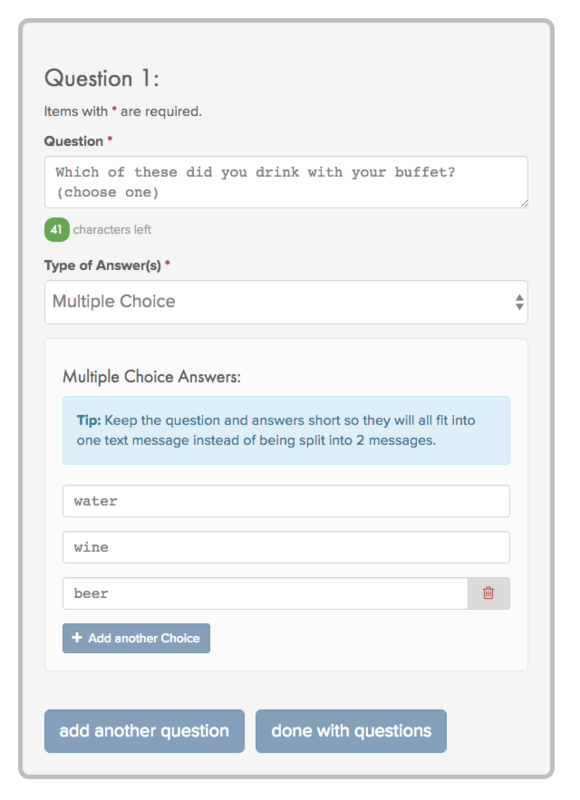 We'll explain how to set up and conduct text message surveys with our easy-to-use software. Surveys start at only $69 per month. Create the survey, including a keyword. We have 5 question types: multiple choice, essay, number range, true/false, and yes/no. Promote the survey to your customers by posting your TalkToTheManager number and the survey keyword. It's as easy as that. Customers simply text the keyword to the number to start the survey. At the end they get a message you can customize, such as providing a reward. This is a great option for ratings. This allows survey participants to answer open-ended questions. 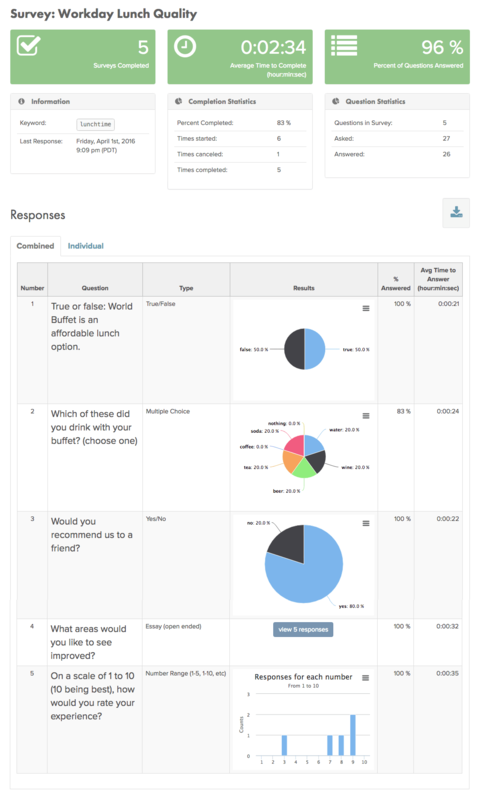 We make it easy to analyze the results of your surveys to ensure you get the most from your customer interactions. Click for a full, zoomed view. Not only can you view each participant's individual responses, you can even click the customer number and send a message (anonymously) to the customer, just as if they had initially texted your TalkToTheManager number to provide feedback. You can also export all individual responses as a CSV file. 1. These are not "push" surveys. Our surveys are initiated by your participants and and cannot be "pushed" to them. Each participant must text a keyword (which you specify) to your TalkToTheManager number to start the survey. 2. You will not see customer phone numbers. We don't expose the customer phone number, but you can reply by text to a participant. Their customer "number" (abbreviated) is available in the survey results. 16: I wanted to ask you about one of your survey responses. Do you have some time? 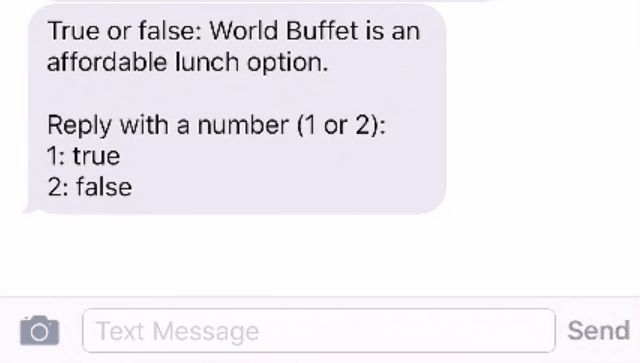 If you want the actual phone number, you can ask for phone number as an answer to one of the survey questions, as an "essay question" (open-ended question) type. 3. For extremely large events, this may not work for you. Because the number we provide is a 10-digit number and not a short code (5-6 digit number). 10-digit numbers face throttling under high volume to avoid abuse. We do not control this throttling.. However, about 20-30 people can take the survey at once with little delay. If you need higher volume, there is a setting you can opt into so up to 200 people at a time can take the survey comfortably. Keep in mind this high volume option will make the survey questions come from a number that is not the number we assigned. 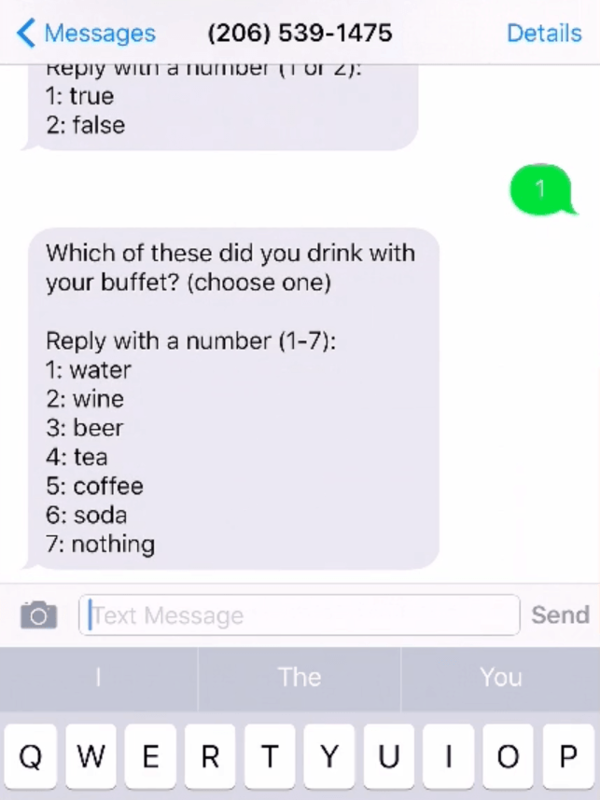 A customer will text your number to initiate the survey, but the questions and interactions will happen on another number. While you have surveys under way, you can keep tabs on how many texts are being used from within the survey manager. We'll notify you when you're starting to run low. You can purchase additional survey texts at any time (on Plus or Pro plan). 5. Our Starter plan only has enough survey texts for internal testing. 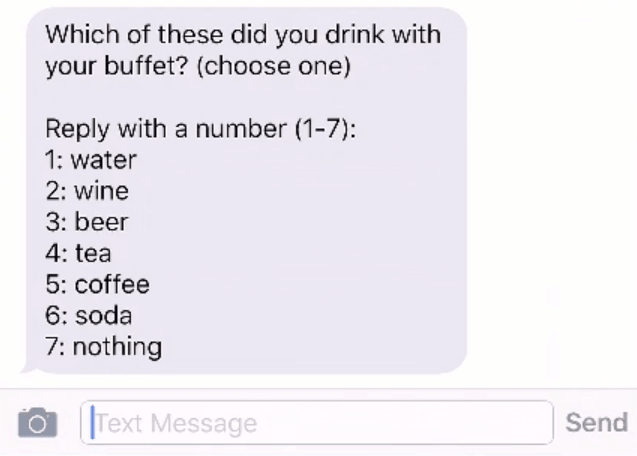 You get very few survey texts with the Starter plan. It is a free trial plan and you will only have 100 texts to try it out internally. If you use this for real-world surveys, you'll run out very quickly, frustrating your customers. To use surveys in a real-world capacity, you must upgrade to the Plus or Pro plan.